Laura Klein is a user experience designer and recovering engineer and has been working with Silicon Valley tech companies for more than 15 years. 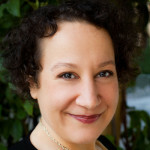 She writes about Lean UX and product management on her blog, Users Know, and is the author of UX for Lean Startups from O’Reilly. Currently, Laura is a partner and co-founder of The Lean Startup Group, a company devoted to helping companies implement the Lean Startup Methodology through training and coaching.